3 How To Use Nootropics? Whether you’ve just come across the term ‘Nootropics’ and wondering what the hell it means, or you’ve been supplementing with them for a long time already, the following guide is insightful for both cases. Brain and neurological problems have reached the highest numbers in human history. Anxiety, brain fog, fatigue, depression, ADD, autism, Alzheimer’s, Parkinson’s, and multiple sclerosis are just some of the brain conditions affecting nearly everyone on planet Earth in some way. Why is this happening? What are we doing as a society that could have triggered such a massive epidemic—one that threatens the quality and quantity of countless lives? My job as a functional medicine practitioner is to get to the root cause of health problems, especially brain and neurological issues like the ones mentioned above. And although multifaceted and complex, one exciting tool we use to improve and support optimal brain function is nootropics. And in that introduction is another exciting fact, is that in their practice of improving and supporting optimal brain function, in such an important field, is the use of nootropics. Although we already have a progressive Nootropics 101 page to answer that What Are Nootropics question, this is more focused on the list in hand. So what are nootropics? I’m glad you asked! They’re fancy-sounding, but “nootropic” is just a term for a broad range of supplements, drugs, or other substances that may have the ability to enhance cognitive function. Also referred to as smart drugs, the goal of nootropics is to improve memory and cognitive performance in otherwise healthy individuals—hence the nickname. They have also been praised for their neuroprotective benefits. In other words, they not only claim to boost brain power, but they also may protect your brain from deterioration over time. Nootropics can be natural, synthetic, or prescription. In fact, the commonly prescribed Ritalin and Adderall are considered nootropics. There are also many synthetic options hitting the market now, but research surrounding their long-term effects is still developing. So while synthetic options like Modafinil, Adrafinil, and Piracetam can seem tempting for those struggling with severe brain fog or fatigue, in functional medicine we strive to uncover and treat the underlying cause and try natural solutions before synthetic ones. 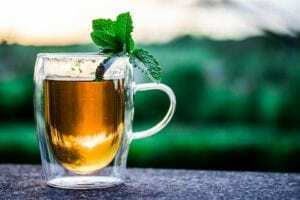 Luckily, there is also a wide range of natural nootropics—many of which you might already be familiar with—that have been used in alternative medicine for years. So while medications and synthetic drugs offer a quicker reaction time, they also have more intense side effects and require a prescription. 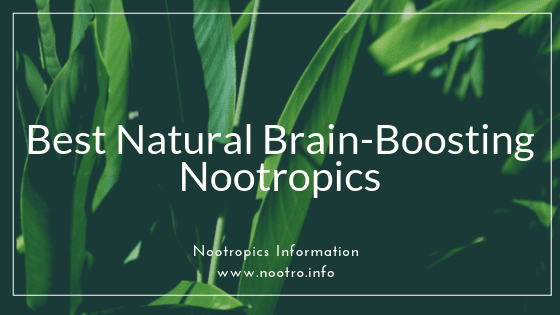 If you’re just looking to dip your toes into the world of nootropics and boost brain performance, including natural nootropics in your wellness routine is the way to go. These can be easily accessed, and you’d be surprised by how many you are probably already familiar with. Everyone’s favorite, caffeine is the superstar nootropic. Found in coffee, green tea, and chocolate, chances are you’ve been using this for your morning boost for years. You can also find caffeine supplements if you aren’t a fan of any of the usual vehicles. Caffeine helps you feel more alert and wakes you up by blocking your brain’s adenosine receptors. L-theanine is a natural amino acid, often called the “natural xanax”. It almost only exists in green tea leaves. It works brilliantly in unwinding and relaxing the body and brain without causing drowsiness, while reducing stress and increasing cognitive function. Due to not causing drowsiness, it is the perfect choice to combine with stimulants of any sort to take the edge off. This amino acid is used by your body to make protein and promote muscle growth, making it a popular supplement among athletes. It is also considered great fuel for your brain because it binds with phosphate in your brain to give energy to your brain’s cells for increased short-term memory. You can’t expect me to get through a list of herbs without mentioning at least one adaptogen. 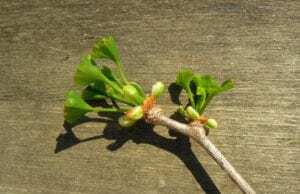 The leaves of the ginkgo biloba tree have been shown to be a powerful brain booster. Not only has this been shown to improve memory, but it can also alleviate stress by decreasing your stress hormone, cortisol. This other superstar adaptogen works to improve memory by reducing oxidative stress to promote brain-protecting nitric oxide. 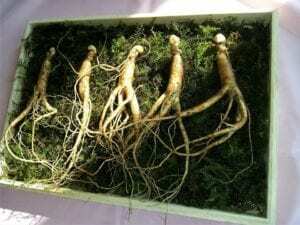 Research has further shown this adaptogens brain-boosting power with its ability to prevent age-related memory loss and improve long-term memory. You may have 99 problems, but curcumin has probably already solved 98 of them—and you can add improved cognitive performance to that list. This compound in turmeric has been shown to improve working memory with consistent long-term supplementation. Curcumin can also increase BDNF, reduce oxidative stress, and inhibit inflammatory cytokines. The amazing thing about natural nootropics is that you can easily add them to your daily wellness routine. Most of these herbs and compounds can be found in supplement form from any natural food or vitamin store and even online. 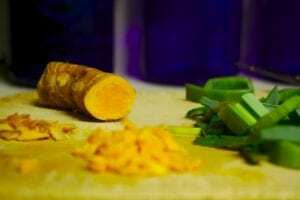 You can also find adaptogens and turmeric in powder form, which you can add to various smoothies, elixirs, or recipes. While these natural smart drugs are considered generally safe, it’s still important to remember that the research surrounding them as nootropics is limited and still developing. Since everyone is different, depending on your health case, you may be more sensitive to certain nootropics, such as L-theanine or caffeine. Some people, for example, have specific gene mutations that make metabolizing caffeine more difficult. My advice is to start slow, listen to your body, adjust accordingly, and always tell your doctor about your supplement use.